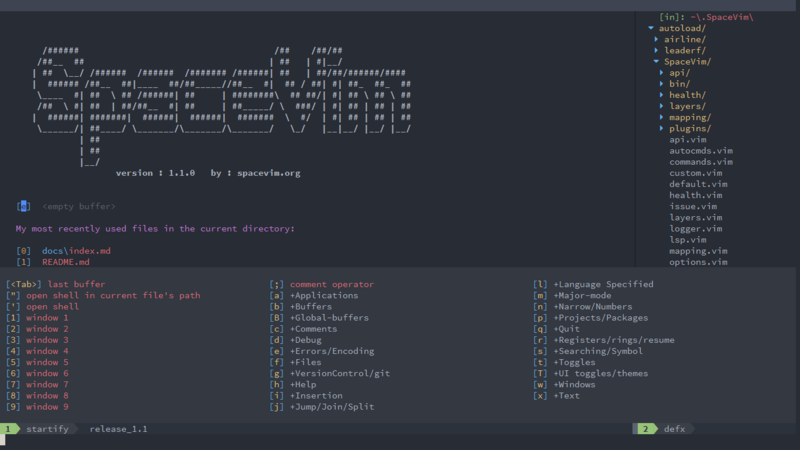 The last release is v1.0.0, the first stable release of SpaceVim. After four mounths development. The v1.1.0 has been released. So let’s take a look at what happened since last relase. 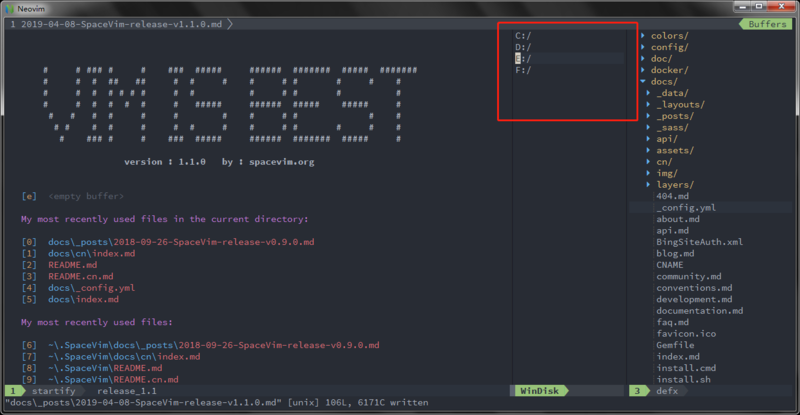 add floating windows support for mapping guide and flygrep. Improve the iedit mode, add iedit-normal command: s and x, add iedit-insert command Ctrl-e Ctrl-a Ctrl-b and Ctrl-f etc. improve fzf layer, add fzf menu support.